The world had to wait for too long for a new record by The Hackensaw Boys. At the same time it is not often that I can sing along to songs that have not been released yet, from hearing them live through the past years. The suffering is over. The aptly titled Charismo is here. The charismo is the percussive instrument worn and played by Brian Gorby. An instrument made up from things usually found in trash bins like cans in all shapes and sizes, bound together to be brushed, hit, caressed. Whatever it takes to get the right percussive sound for a song. There may be others in the world that play it, then I haven't seen them. Jason Neuhardt, nick-named "Salvage", the band's then charismo player was my first in 2004, later replaced by Brian Gorby. Charismo starts so pleasantly familiar. A banjo, violin and a mandolin play just a few notes against each other before after a few seconds the guitar and charismo kick in the rhythm. 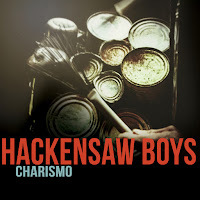 The blue grass sounds of The Hackensaw Boys sooth the busy minds of everyday life straight away. David Sickmen's voice, a little rougher each year it seems, does the rest. 'Don't Bet Against Me' is all a fan could wish for an opening of the first full length record in nine years (and two EPs with new songs in 2011). The mood that Sickmen knows how to catch in his songs is all there. The album was produced by Larry Campbell. (His own record was reviewed not too long ago on this blog by Erwin Zijleman.) Campbell does not need an introduction, I think. He caught The Hackensaw Boys on their neatest. The rough edges were filed and sanded away. The band definitely plays under a restraining order it seems. This results in more mid-tempo songs, where the distinctions are made by Sickmen's ballads and more contemplative songs and Ferd Moyse's fiddle driven country torched songs. This does make the record more recognisable compared to the four or five composers per record in the past. 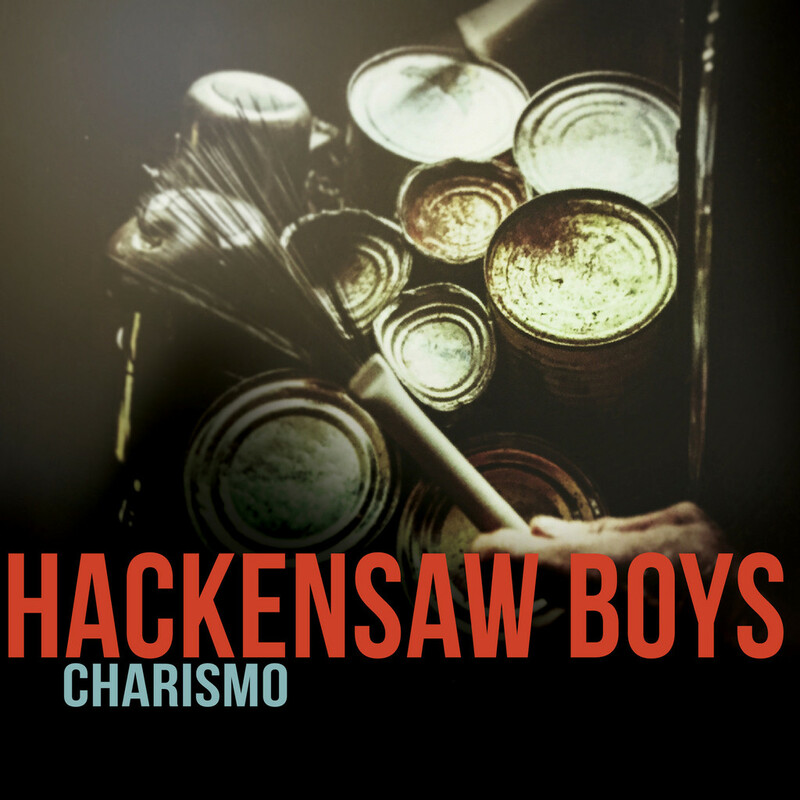 I can't deny that I miss a bit of the poked up The Hackensaw Boys fire on Charismo. If I ignore that fact, there is enough to enjoy on Charismo. The album holds some beautiful, bittersweet ballads that are truly good to listen to. David Sickmen knows how to capture things that happen to all of us during our lives like love, belonging, heritage, loss, life, in his own imagery and mood. It always touches on several sides of a subject and can move anyone who opens him or herself to it. On the side the band captures some pure magic every once in a while during those songs as well. Ferd Moyse in general touches upon the more worldly subjects and underscores them with explosions on his fiddle. The songs that help shows come totally alive. With a song like 'Wolves Howling' Moyse shows that it is not necessarily up tempo he excels in. While the instrumental change in the song is big fun. Another great feature of Charismo is that Jimmy Stelling still plays the banjo. He no longer, again, is part of the band, which saddens me as he is made to play this music by this band. I know no other banjo player who gives you the impression he is the lead guitarist in a punk band. His stance on stage is super cool and gave The Hackensaw Boys a serious attitude. On top of that he's a nice guy. With playing the record some more, my impression of Charismo gets better and better. There are many fine details to be found and the recording production and mix are plain good. It is on these moments that I realise that Larry Campbell did a fine job and caught The Hackenboys Boys on its best in the studio. Rest assured: that restraining order was never implemented. Just listen to 'Limousine Lady' and 'Ol' Nick'. These songs fly off, incendiary. On top of all that Charismo holds some real beauty. 'The Sweet' is a beautiful, bittersweet song. "If the salt don't kill me, it will be the sweet". That's modern life for you caught in one sentence. By then it is totally clear that Charismo has grown on me. It simply had to get in a spot where I stop comparing it to all that went before and give it the spot it deserves by itself. It has and all I have to do right now is state that The Hackensaw Boys has done it again. A top album by a top band. This early summer in The Netherlands and Europe. Catch them where you can.